Some people playing Pokémon Go today are probably too young to remember that Saudi clerics declared a fatwa, or Islamic religious ban, on Pokémon back in 2001. Unluckily for them, the resurgence of the augmented-reality version of the game has clerics renewing the ban to remind everyone that the pious do not wander around seeking imaginary animals. The original fatwa claimed that Pokémon encouraged blasphemy and gambling. Since card symbols allegedly include the star of David, triangles, and crosses, the cards are promoting Zionism, freemasonry, and Christianity, respectively. The edict also said that the game promoted gambling because people bought and sold cards (there may be a point here, given that loaded Pokémon Go accounts are being auctioned for thousands) and the storyline itself promotes the natural theory of evolution. The renewal by the Saudi clerics have been echoed by officials in Egypt and Kuwait. 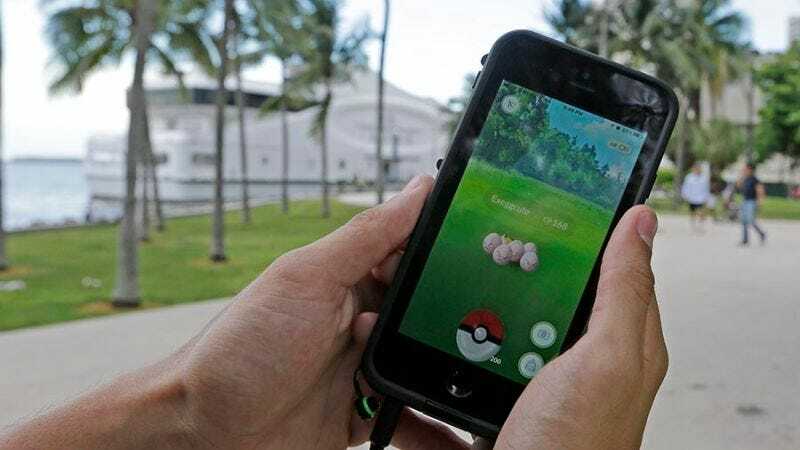 Officials in the United Arab Emirates have warned that the GPS-based game could make people vulnerable, which is exactly right given that armed robbers have used Pokemon to lure victims. Of course, not everyone agrees. While topic clerical body of Indonesia, which has the largest Muslim population in the world, warned that the game could make people “intoxicated,” businesses in the country continue to cash in and some aren’t deterred. “I will not stop playing unless the reason is realistic,” 24-year-old Indonesian radio host Mohammad Resja Ilham, told Reuters. He plays up to five hours a day but seems to be in no danger of becoming a freemason so far.